You recently decided to launch a blog. With your creativity and awesome content creation team, you were thinking that the launch would be a breeze. You didn’t, however, anticipate that getting your blog up and running would be so challenging. You’ve already lost count of the problems you’ve run into. Choosing a reliable blog hosting service has been especially difficult. From WordPress to Prestashop, there are so many options available to you. You just can’t choose one. So how do you narrow things down? Keep reading to find out which factors you should consider before choosing a web hosting service. As the owner of a small business, you should love cutting costs. You simply can’t justify spending tens of thousands of dollars on a website so early in the game. 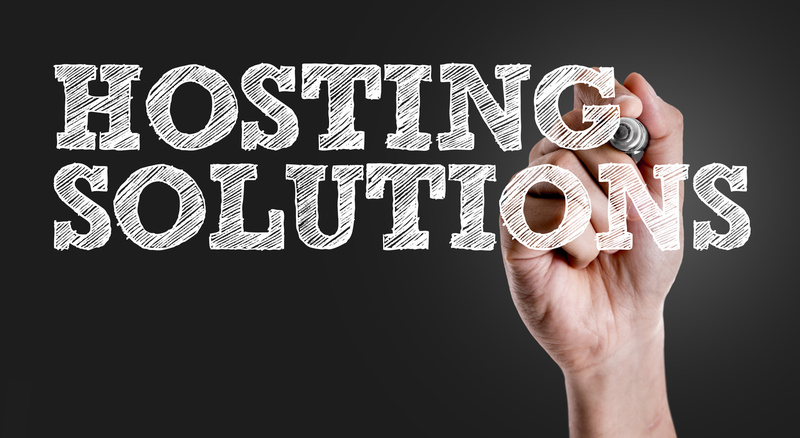 As a result, the web hosting service that you choose should fit smoothly into your budget. Of course, you don’t want to go too cheap here. Some free platforms seem solid, but you don’t technically own your site when relying on these hosts. A few of them reserve the right to shut down your blog. We recommend that you go for affordable platforms such as WordPress. Linux and Windows-based platforms are also good options. You can upgrade to something more expensive in the future if you need to. A lot of small businesses don’t think about how much traffic their blogs will get in the initial stages. To be fair, many of them don’t have a reason to think that people will flock to their blogs in droves so quickly. Still, companies need to look at the bigger picture. Their blog traffic will eventually grow. The blog hosting services they choose should be able to handle that traffic. Generally speaking, shared hosting is not a great choice for blogs that receive a ton of traffic, but, at this stage, it’s probably all that you can afford. That said, do your research before you choose a shared hosting platform. Maybe one day you’ll move on up to dedicated hosting. Today, however, is not that day. This one all comes down to what your blog’s goals are. If you specifically need WordPress’s plugins, for instance, it might be the best option for you. Some platforms, though, are extremely flexible and play well with other applications. Consequently, you don’t necessarily have to choose one platform for one feature. You might well be able to integrate other apps into whatever hosting platform you choose. Security is hands down the most important factor to consider when choosing a blog hosting platform. You must protect your company from hackers for your safety and your consumers’ safety. A hosting platform that doesn’t secure your data is not a hosting platform that you want. You should never compromise on security to save a few bucks. If you need a few suggestions on which hosts are secure, Linux, Windows, and WordPress have good reputations. Furthermore, you should always be using some sort of backup service. Doing so will allow you to prevent losing large chunks of data after cyber attacks. Despite all of the info we’ve given you here, you’ve admittedly still got your work cut out for you. Still, you have to admit that knowing how to select a hosting platform has made your life easier. Having said as much, good luck on your hunt for the perfect hosting platform. Already found the perfect host? Please share your success stories below. We would love to hear them.